Why we chose to offer Vivace® RF Microneedling. The introduction of Vivace® Microneedling with RF (radio frequency) elevates skin rejuvenation to a higher plane. This groundbreaking procedure is 100% natural, combining two established technologies into one treatment, which turns back the effects of aging to produce a radiant glow for any skin type. 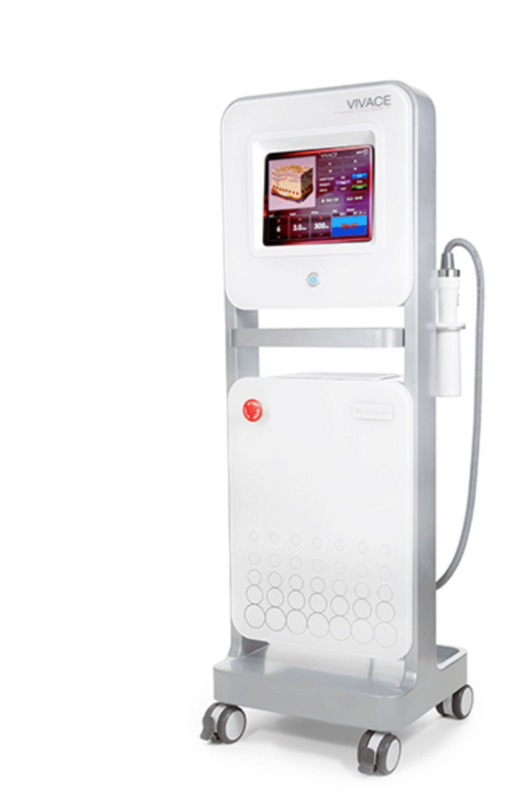 This FDA-approved skin care system is state-of-the-art technology not currently available at many clinics in the Sacramento Area. Angell Medical Spa is proud to offer our patients this cutting-edge treatment to help them maintain their skin health. What is Vivace® RF Microneedling? 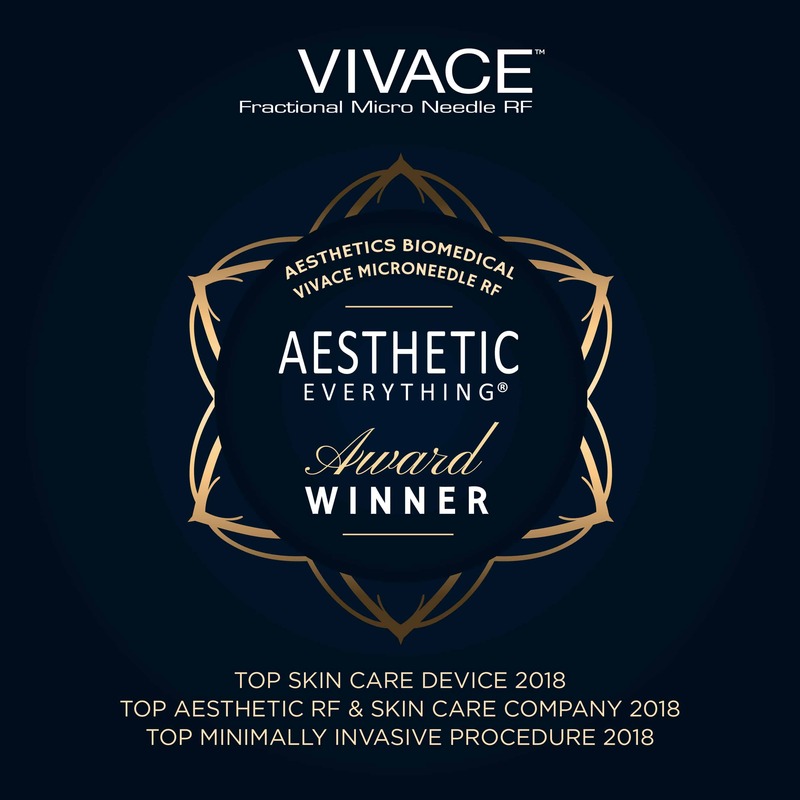 Vivace® is an advanced microneedling device that integrates the benefits of microneedling with radio frequency energy to deliver tighter skin and an increase in elastin and collagen production. Results are visible immediately and improve over time as your body’s healing mechanisms increase to encourage a youthful dermal structure and a softer, smoother skin surface. 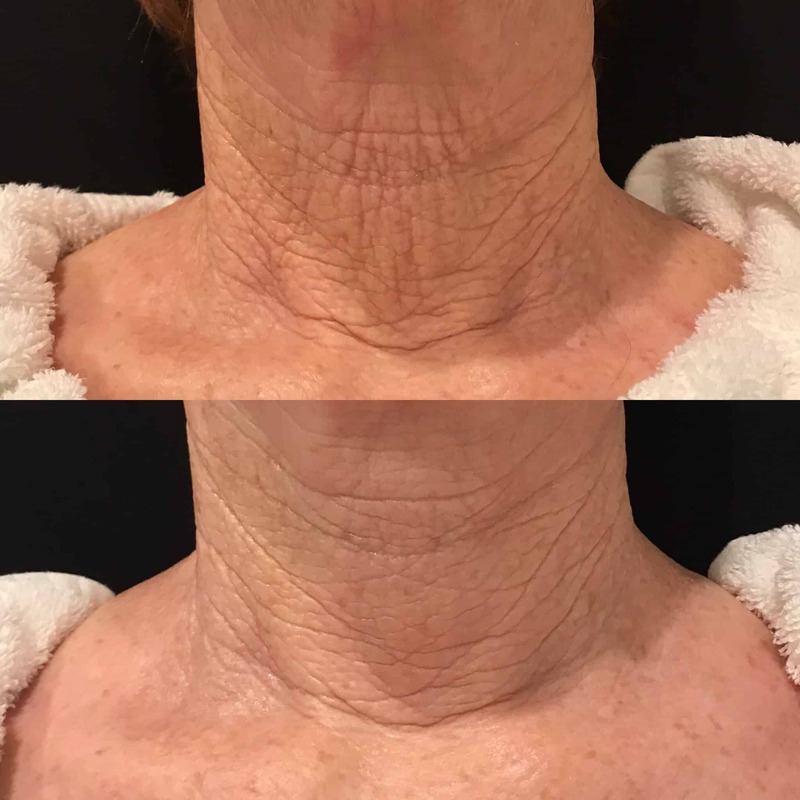 Radiofrequency energy has been used in aesthetic treatments for some time because of its ability to heat the underlying skin tissue without damaging the skin’s outer layer. The heat kindles the body’s regenerative processes, as well as the production of collagen and elastin. The body produces both proteins abundantly when we’re young, but with age, their levels decrease. The decrease in elastic and collagen production leads to lax skin and wrinkle formation. By promoting their natural regeneration mechanisms, a tight and plump skin presence will return to attain more youthful-looking skin. Microneedling, also referred to as Collagen Induction Therapy (CIT), produces micro-injuries in the skin by creating tiny puncture marks as the device passes over the skin’s surface. This creates microscopic channels through the dermis to the most receptive cell layers initiating the natural healing process and promoting elastin and collagen production. 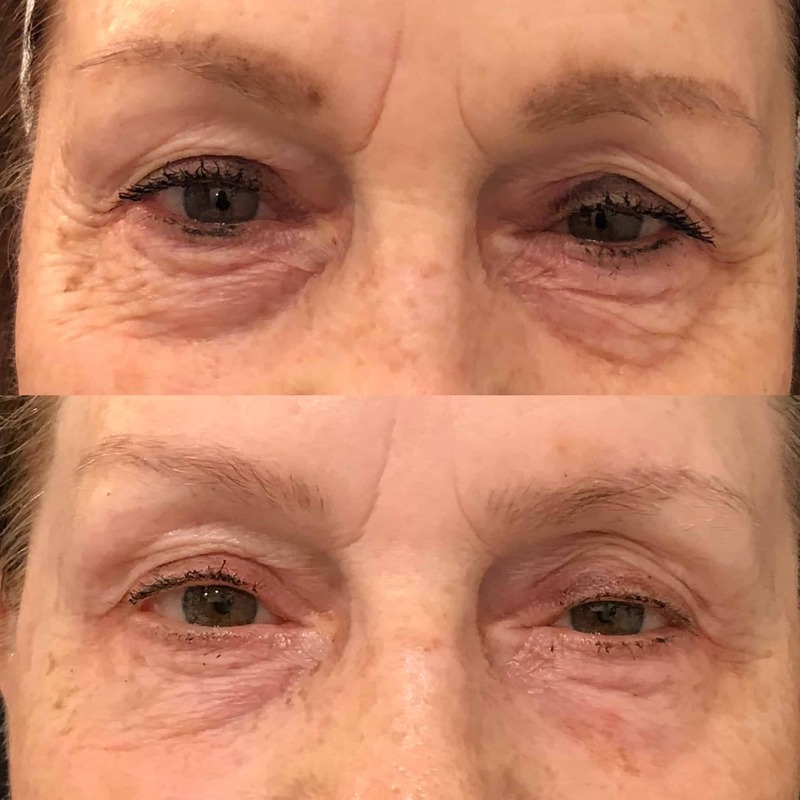 When Vivace® combines microneedling and RF energy, the skin’s aesthetic improvement is long-lasting and more dramatic because the technologies have synergy in promoting the body’s natural healing process. First our prescription custom compounded numbing cream is applied to completely numb the treatment area. We then begin by programming the Vivace® to the optimal settings based upon each individual patient’s needs. Using Vivace®’s unique insulated 36 gold plated needle tip and robotic mechanism the needles are inserted into the skin at various depths. We cover every area once in an up and down motion and then complete the treatment with a second pass of coverage in a checkered pattern. The result is an even and comprehensive treatment to address the entire area. Unlike alternative devices the Vivace® system has 31 settings that enable us to customize the treatment and achieve the highest level of precision.A treatment session lasts between twenty and thirty minutes. Our Vivace® RF Microneedling treatment typically requires no downtime. Many patients choose to schedule their treatment during their lunch break because they can return to work immediately after leaving our office. Some patients appear flushed after treatment, but this will subside within a few hours. We recommend you use sunscreen because your skin will be more vulnerable to the sun’s UV rays. However, we ask you don’t apply anything on the skin for six hours after treatment except for medical grade calming creams or mask. Results are immediate. Your skin may appear tighter and smoother after treatment, and the results will improve over time. With more elastin and collagen production, your underlying tissue will be firm and stout, and your skin’s surface will become soft and smooth. With many patients, we recommend a series of treatments at one-month intervals. When we achieve your aesthetic goals, an occasional treatment session will help maintain results. In line with our holistic approach to anti-aging, we love this natural approach to dramatically improve skin health. Vivace® Microneedling is an optimal treatment to help you achieve correction for aging skin to deliver a rejuvenated, youthful and radiant skin glow. Most patients have very minimal discomfort. A numbing cream is applied one hour prior to the procedure. For those with low pain threshold, a medication may be prescribed to make the procedure more comfortable. What will my face look like afterwards? This is considered a minimal to no-downtime procedure. Patients who flush more easily may have some redness to the face after the procedure. In the viral photo of Kim Kardashian following a Vampire Facial® you can see multiple tiny spots of blood over the face. With our technique and the use of Vivace®, you do not have a “bloody” looking face. Yes, this is a very well tolerated procedure. With almost no exceptions, patients can go back to work even the same day. Can I get an infection from this procedure? This procedure is just like any other that you would receive from a medical provider where they are drawing or handling bodily fluids of any type. All of our providers are highly trained in general, and specifically, in the proper handling of blood. There is no chance with our careful procedures of cross-contamination. Your own blood is drawn and you only come in contact with your own blood. With any type of skin break or puncture, infection is possible, but is extremely unlikely with highly trained medical professionals. Get a major boost to results by adding in PRP! We can add application of Platelet Rich Plasma, or PRP to your treatments for boosted results. PRP refers to the portion of the plasma that contains the most beneficial skin healing, collagen inducing factors. 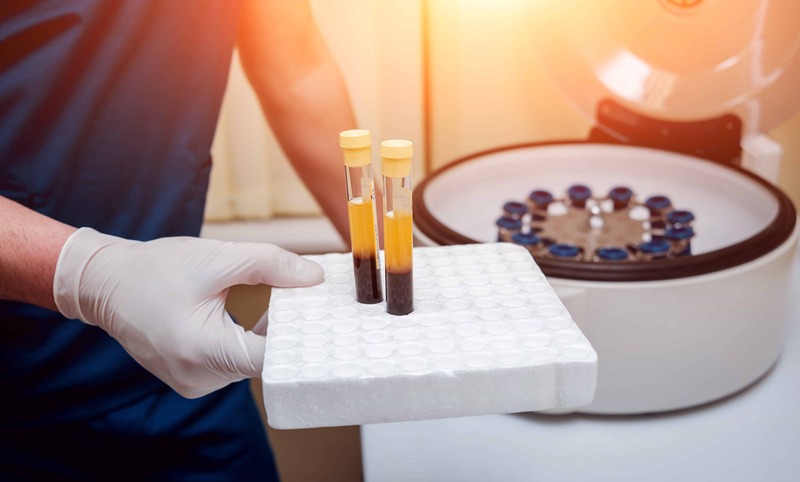 In this procedure, the patient’s blood is drawn and then placed into a centrifuge, a machine that spins blood rapidly in order to separate out a golden fluid that contains Platelets, rich in growth factors. This fluid is applied to the skin following Microneedling and vigorously massaged in to penetrate into the micro-channels and stimulate cell regeneration and collagen production. We use the Selphyl System for PFRM.